TRANSLATE>DIALOG:I am the great bard Trill, perhaps you've heard of me? No?\n\nThat's the problem really; despite my astonishing talent, word of my ascendancy has not yet spread among the masses. My ability is beyond question, but perhaps I have not yet found a tale truly worth telling.\n\nPerhaps your heroic deeds will inspire me. A beast known as |cFFFFBA00Varkaseer|u has been emerging at night to prowl about Torchlight, he is said to be a batlike creature with great power. His lair is said to be on the third floor of the mine, slay him and I will immortalize your battle in verse! TRANSLATE>DIALOG:|cFFFFBA00Varkaseer|u awaits you in the mines, make it battle worthy of song! TRANSLATE>DIALOG:You've slain that horrible bat creature, |cFFFFBA00Varkaseer|u! I could see it in your eyes as soon as you approached. I can imagine the battle now; it will make a fine ballad! Well, the beginning one at least.\n\nI think this collaboration may be a boon to us both. TRANSLATE>DIALOG:Trill has asked you to slay |cFFFFBA00Varkaseer|u on the third floor of the mines. TRANSLATE>DIALOG:I've been working on a song about |cFFFFBA00[DEFEAT1]|u, but it doesn't have a fitting, um, conclusion. Perhaps you can pay a visit to floor |cFFFFBA00[DEFEAT1DEPTH]|u and do something about that? I'll cast your story in the most heroic light possible, of course. TRANSLATE>DIALOG:If you wish to be a hero truly worthy of song, you must prove yourself able slay even the fiercest of beasts. |cFFFFBA00[DEFEAT1]|u is thought to be an invincible foe, but a courageous warrior need not listen to such rumors.\n\nThe beast's lair is |cFFFFBA00[DEFEAT1DEPTH]|u floors below Torchlight. Return and tell me your tale! TRANSLATE>DIALOG:I think this shall be my finest song yet!\n\nI've heard that |cFFFFBA00[DEFEAT1]|u can slay any warrior, but perhaps you have grown strong enough to survive the battle. Either way it shall be a harrowing tale, descend |cFFFFBA00[DEFEAT1DEPTH]|u floors below Torchlight and meet your destiny! TRANSLATE>DIALOG:How do I know where to find these monsters? Why, a bard knows my friend! A bard knows.\n\nFor example, |cFFFFBA00[DEFEAT1DEPTH]|u floors below Torchlight there waits a forsaken beast by the name of |cFFFFBA00[DEFEAT1]|u. Meet it in battle, and return to me with your tale of glory! TRANSLATE>DIALOG:I've had an inspiration! It isn't enough to tell the tale of one battle, I must weave a tale of countless victories!\n\nLeave the hard work of storytelling to me, all you need do is slay the monsters! For a start, test your strength against |cFFFFBA00[DEFEAT1]|u in his floor |cFFFFBA00[DEFEAT1DEPTH]|u lair. TRANSLATE>DIALOG:When I was built, my creator and I would often see bards entertaining people on street corners, it's what inspired me to greatness! Of course he doesn't see it that way, not yet.\n\nI recall a tale of a mighty fiend, |cFFFFBA00[DEFEAT1]|u, who slew countless warriors before disappearing into the wild. I believe it's here, just |cFFFFBA00[DEFEAT1DEPTH]|u floors below Torchlight! Isn't it thrilling? Cut the beast down and I shall make heroes of us both! TRANSLATE>DIALOG:This shall be my greatest ballad! It's true that none of my songs have met with their deserved acclaim so far, but this one shall be different.\n\n|cFFFFBA00[DEFEAT1]|u has been terrorizing Torchlight since the first miners arrived, slinking up from its lair |cFFFFBA00[DEFEAT1DEPTH]|u floors below the town. They will rejoice to hear of its defeat, and it should give them a new appreciation for my talent. TRANSLATE>DIALOG:Even these dull miners will be able to appreciate this tale!\n\n|cFFFFBA00[DEFEAT1]|u lurks |cFFFFBA00[DEFEAT1DEPTH]|u floors below Torchlight, meet him in battle and I will weave an epic tale of your victory! Or your defeat, really I think either shall work wonderfully! TRANSLATE>DIALOG:Slay this fiend and they shall sing of your glory through the ages! Of course, we will know that your fame is truly due to my skill in crafting the verse, but I am not one to brag.\n\n|cFFFFBA00[DEFEAT1]|u awaits you in his floor |cFFFFBA00[DEFEAT1DEPTH]|u lair. I already have the tale of your battle half written, and so far, you appear to be winning. Don't disappoint me! TRANSLATE>DIALOG:All you must do is slay |cFFFFBA00[DEFEAT1]|u in his floor |cFFFFBA00[DEFEAT1DEPTH]|u lair, my task requires true talent. How many rhymes can you produce for the name |cFFFFBA00[DEFEAT1]|u? TRANSLATE>DIALOG:I have already finished the tale of your battle, but |cFFFFBA00[DEFEAT1]|u still lives! If someone discovers him alive, they'll think we're complete frauds. Think of my reputation! Poetic license only goes so far.\n\nHurry to floor |cFFFFBA00[DEFEAT1DEPTH]|u before we're found out! TRANSLATE>DIALOG:La la floor |cFFFFBA00[DEFEAT1DEPTH]|u, tra la la |cFFFFBA00[DEFEAT1]|u. TRANSLATE>DIALOG:Ah, you've slain |cFFFFBA00[DEFEAT1]|u and come to tell me of your victory!\n\nNo? You have yet to meet him in battle? If you still have the courage, descend to floor |cFFFFBA00[DEFEAT1DEPTH]|u. Of course, I could just as easily spread word of your retreat. TRANSLATE>DIALOG:If my Tome of Fiends says that |cFFFFBA00[DEFEAT1]|u awaits you on floor |cFFFFBA00[DEFEAT1DEPTH]|u, then you can be sure the beast is there. TRANSLATE>DIALOG:Remember, these battles are more about style and panache than who wins and who loses. Perhaps you should prepare some words for when you encounter |cFFFFBA00[DEFEAT1]|u on floor |cFFFFBA00[DEFEAT1DEPTH]|u. Something bold and dashing!\n\nI won't use them in my song of course, but perhaps it will broaden your horizons. TRANSLATE>DIALOG:I can see it now. You, weary from battle, your sword wavering in your hands. |cFFFFBA00[DEFEAT1]|u, cackling with vile laughter, wielding a giant flaming club. For a moment, you thought all was lost- but then, a rush of inspiration!\n\nYou remembered your mother, no, your love! Yes, your far away love, and your promise to return! In a rush of righteous fury, you struck the fiend down, and returned here victorious!\n\nHa, I will make you the hero of our age! TRANSLATE>DIALOG:Truly an epic victory, I can picture it now. |cFFFFBA00[DEFEAT1]|u roaring mightily, you striking a dashing pose! I wish I could have been there to see it! Of course, there's the danger, one with talent such as mine simply cannot be risked on such perilous errands.\n\nI will spread word of your victory in song and verse! TRANSLATE>DIALOG:Tell me, how did you defeat |cFFFFBA00[DEFEAT1]|u?\n\nHmmm, interesting... but not epic! I'll need to spice that up a bit if your tale is to have lasting appeal. Still, you should be rewarded for your effort. TRANSLATE>DIALOG:Have you returned with |cFFFFBA00[DEFEAT1]|u's head?\n\nI'm speaking metaphorically of course, what would I do with a messy, dripping head? I don't perform with props you know. Anyhow, you're just in time, I completed the tale of your victory only moments ago! Here is some gold for your effort, but fame is your true reward. TRANSLATE>DIALOG:The stage is a lonely place, my friend, it holds more terror than a thousand fiends.\n\nLuckily, you have me to face those dangers, and you need only brave the caverns below. Have you slain |cFFFFBA00[DEFEAT1]|u already? Why, I've barely had time to put my thoughts in order! Tell me everything. TRANSLATE>DIALOG:Did you hear me practicing? Truly, my voice could bring even great warriors to tears.\n\nHave you survived the battle with |cFFFFBA00[DEFEAT1]|u? What am I saying, of course you have! I'll have to change the ending of my song, but that's a small matter for one with such talent as mine. No need to apologize! TRANSLATE>DIALOG:You've earned a new title my friend, Defeater of |cFFFFBA00[DEFEAT1]|u! Snappy isn't it? Would you prefer Slaughterer of |cFFFFBA00[DEFEAT1]|u? Conquerer of |cFFFFBA00[DEFEAT1]|u?\n\nAh, there's just no pleasing most people. Here's some gold for you trouble. TRANSLATE>DIALOG:Bards through the ages will sing of your battle with |cFFFFBA00[DEFEAT1]|u, but of course, none of their voices shall sound as sweet as my own. TRANSLATE>DIALOG:Tra la la, the fiend is slain, |cFFFFBA00[DEFEAT1]|u is no more! Tra la la, our hero won, we shall be greatful evermore!\n\nWhy the sour look, have you no appreciation for verse? TRANSLATE>DIALOG:Trill wants you to slay |cFFFFBA00[DEFEAT1]|u on floor |cFFFFBA00[DEPTH]|u so that he can compose a song about the battle. TRANSLATE>DIALOG:Gar! Brek garap krog ag garan |cFFFFBA00[ACQUIRE1]|u!\n\nGar seg humen ga! Larag ag flurk |cFFFFBA00[ACQUIRE1DEPTH]|u! Gar! TRANSLATE>DIALOG:Seg Gar garap ag |cFFFFBA00[ACQUIRE1]|u arag flurk |cFFFFBA00[ACQUIRE1DEPTH]|u!\n\nGar! TRANSLATE>DIALOG:Gar!\n\nKrop barag flurk |cFFFFBA00[ACQUIRE1DEPTH]|u kag garan ag |cFFFFBA00[ACQUIRE1]|u! TRANSLATE>DIALOG:Humen garap grap ag garan |cFFFFBA00[ACQUIRE1]|u!\n\nBreg flurk |cFFFFBA00[ACQUIRE1DEPTH]|u! Gar seg larag, humen larag! TRANSLATE>DIALOG:Garan [ACQUIRE1]!\n\nGut humen larat Gar! Gar anit kratk! TRANSLATE>DIALOG:Gar!\n\nBrasag ag [ACQUIRE1]! Garan tok Gar! TRANSLATE>DIALOG:Gar seems to want you to find him a |cFFFFBA00[ACQUIRE1]|u on floor |cFFFFBA00[ACQUIRE1DEPTH]|u. TRANSLATE>DIALOG:Gar! \n\nKratk |cFFFFBA00[DEFEAT1]|u! Bra'nag asa |cFFFFBA00[DEFEAT1ACQUIRE1]|u Gar!\n\nHumen gara flurk |cFFFFBA00[DEFEAT1ACQUIRE1DEPTH]|u! Gar! TRANSLATE>DIALOG:Bra'nag asa |cFFFFBA00[DEFEAT1ACQUIRE1]|u Gar! Kratk |cFFFFBA00[DEFEAT1]|u!\n\nHumen gara flurk |cFFFFBA00[DEFEAT1ACQUIRE1DEPTH]|u! Gar! TRANSLATE>DIALOG:Gara flurk |cFFFFBA00[DEFEAT1ACQUIRE1DEPTH]|u, kratk |cFFFFBA00[DEFEAT1]|u!\n\nBra'nag asa |cFFFFBA00[DEFEAT1ACQUIRE1]|u Gar. Gar!\n\nGar! TRANSLATE>DIALOG:Flurk |cFFFFBA00[DEFEAT1ACQUIRE1DEPTH]|u, kratk |cFFFFBA00[DEFEAT1]|u!\n\nBra'nag asa |cFFFFBA00[DEFEAT1ACQUIRE1]|u Gar!\n\nGorak! TRANSLATE>DIALOG:Garan [DEFEAT1ACQUIRE1]!\n\nGut humen larat Gar! Gar anit kratk! TRANSLATE>DIALOG:Gar!\n\nBrasag ag [DEFEAT1ACQUIRE1]! Garan tok Gar! TRANSLATE>DIALOG:Hey there stranger, welcome to Torchlight. I'm Hatch, richest man in town. Well, that's my plan anyhow.\n\nI haven't worked out all the details yet, but the key is this here wand. It opens a |cFFFFBA00portal|u to one particular spot, and I'm sure it must be full of treasure. Problem is, it's also full of monsters, so I can't have a look for myself.\n\nIf you can handle the monsters and bring me the best |cFFFFBA00treasure|u you find in there, you can keep any gold and weapons for yourself. Be careful though, I don't think any other portals will work in there. What do you say? TRANSLATE>DIALOG:I've opened the portal, just step through and find me that artifact. You'll know it when you see it. TRANSLATE>DIALOG:A book, is that the best artifact you found in there?\nHmm... this is interesting, this sketch looks like my wand. I think they work together somehow. Yes, I see, I can use this book to open portals to all sorts of places. Fortune here we come! TRANSLATE>DIALOG:Hatch has opened a |cFFFFBA00portal|u in town, he wants you to go through and retrieve a treasure from the other side. TRANSLATE>DIALOG:That book you brought me, the Tome of Revelation, remember? Anyway, it mentions a [ACQUIRE1] tucked away deep in the mountain. I'm sure it's overrun with monsters, but that just means that no one else can steal our treasure.\n\nI'll open a portal, and if you can get me that |cFFFFBA00[ACQUIRE1]|u I'll even give you a reward. Thanks to you, I can afford it! TRANSLATE>DIALOG:With this book and this wand, we're gonna be rich!\n\nIt says here there's a |cFFFFBA00[ACQUIRE1]|u hidden deep below us. There's no tunnel that goes there anymore, but I'll open a portal for you. I know a collector who'll pay big for the |cFFFFBA00[ACQUIRE1]|u and I'll cut you in on the profit. TRANSLATE>DIALOG:This one looks promising! There's a |cFFFFBA00[ACQUIRE1]|u in some forgotten nook below us, I bet I can sell one of those for a king's ransom! Well, part of one anyhow.\n\nI'll open the portal, and if you can find the |cFFFFBA00[ACQUIRE1]|u bring it back for your share of the profit! TRANSLATE>DIALOG:I wish I could fight like you partner, I could keep all these profits for myself! Well, those monsters would tear me to pieces so it's no good dreaming.\n\nLet's get some more treasure! The tome says a forgotten piece of the mountain holds a lost |cFFFFBA00[ACQUIRE1]|u, I'll open the portal and you can grab the loot. TRANSLATE>DIALOG:Looking at this book, I don't know how the mountain even holds together. It seems to be completely filled with disconnected labyrinths and caverns. Well, more treasure for us I suppose.\n\nFor example, there's a |cFFFFBA00[ACQUIRE1]|u in a chamber completely cut off from the rest of the tunnels. I'll open a portal, and if you can find it, I'll share the wealth. TRANSLATE>DIALOG:The |cFFFFBA00[ACQUIRE1]|u is somewhere on the other side of the portal, the book doesn't say exactly where it's at, I can just get you into the general area. TRANSLATE>DIALOG:I'm sure you'll find lots of valuables on the other side of this portal, but don't forget to pick up the |cFFFFBA00[ACQUIRE1]|u for me. I'm counting on you! TRANSLATE>DIALOG:Remember, keep your eyes peeled for a |cFFFFBA00[ACQUIRE1]|u somewhere on the other side of this portal. You can keep all the other loot you find for yourself, but bring the |cFFFFBA00[ACQUIRE1]|u to me. TRANSLATE>DIALOG:You found the |cFFFFBA00[ACQUIRE1]|u, you're a wonder partner! I know just where I can find a buyer too, so here's your share of the profit. TRANSLATE>DIALOG:I bet those monsters never saw you coming! Thanks for finding the |cFFFFBA00[ACQUIRE1]|u, I'm sure this is just the beginning of the treasures we'll find! TRANSLATE>DIALOG:Is that the |cFFFFBA00[ACQUIRE1]|u? It looks different than I thought it would, but I think you're right.\n\nHere's your reward partner, there's plenty more where that came from! TRANSLATE>DIALOG:You have the |cFFFFBA00[ACQUIRE1]|u already? You're a fast as an arrow and twice as deadly, I'd better pay prompt and stay on your good side, eh partner? TRANSLATE>DIALOG:The |cFFFFBA00[ACQUIRE1]|u was right where the book said wasn't it? Whoever wrote this thing was a real oracle!\n\nHere's your share. TRANSLATE>DIALOG:Hatch has opened a |cFFFFBA00portal|u in town, he wants you to go through and retrieve a |cFFFFBA00[ACQUIRE1]|u from the other side. TRANSLATE>DIALOG:I've been watching you, hero.\n\n|cFFFFBA00[DEFEAT1]|u has watched you too. Darkness enfolds his floor |cFFFFBA00[DEFEAT1DEPTH]|u lair- that is where he will challenge you. Release him from his service, and I will reward you well. TRANSLATE>DIALOG:Have you returned to stare into the pit? You seem resistant to its call...\n\nI wish my own will had been so strong, I spent an age gathering the strength to extract myself from the corruption below.\n\n|cFFFFBA00[DEFEAT1]|u has no wish to be free from the blight. You will have to use violent persuasion. Descend to floor |cFFFFBA00[DEFEAT1DEPTH]|u, and you will find your prey. TRANSLATE>DIALOG:I had forgotten the air could be so fresh, here above ground. It has been so long since I have seen the stars...\n\nIf you wish to keep this world as it is, you must destroy the champions of the corruption below. If you delve |cFFFFBA00[DEFEAT1DEPTH]|u floors below the surface, you will find such a champion. Slay |cFFFFBA00[DEFEAT1]|u and drive the blight further into the depths. TRANSLATE>DIALOG:Free... \n\nI've escaped Ordrak's grip, but I fear his corruption may yet consume this world. Then where shall I flee?\n\nIf you descend to floor |cFFFFBA00[DEFEAT1DEPTH]|u, you will encounter a dark champion known as |cFFFFBA00[DEFEAT1]|u. Slay the champion, and drive the corruption another step from the surface. TRANSLATE>DIALOG:|cFFFFBA00[DEFEAT1]|u must be destroyed, but I cannot risk returning to the depths. If you will go in my place, I will reward you well.\n\nYou will find |cFFFFBA00[DEFEAT1]|u |cFFFFBA00[DEFEAT1DEPTH]|u floors below us. Tread carefully. TRANSLATE>DIALOG:I can pay you in gold, but a world free of the blight is your true reward.\n\nOrdrak invested dark champions with portions of his power, as long as they live Ordrak cannot truly be destroyed. |cFFFFBA00[DEFEAT1]|u is one such champion, travel |cFFFFBA00[DEFEAT1DEPTH]|u floors below and scourge the fiend from this mountain. TRANSLATE>DIALOG:You must have a will of iron, few can withstand the corruption so well. I could not, and |cFFFFBA00[DEFEAT1]|u fared far worse.\n\nThe champions of blight must be defeated, descend to floor |cFFFFBA00[DEFEAT1DEPTH]|u and see to it. TRANSLATE>DIALOG:You will find |cFFFFBA00[DEFEAT1]|u's lair below us, |cFFFFBA00[DEFEAT1DEPTH]|u floors beneath the surface. TRANSLATE>DIALOG:Dark champions such as |cFFFFBA00[DEFEAT1]|u must be slain. Only you can delve |cFFFFBA00[DEFEAT1DEPTH]|u floors into the pit without being consumed from the blight, and that is why this must be your fight. TRANSLATE>DIALOG:A blight festers within |cFFFFBA00[DEFEAT1]|u, and it will continue to spread. Descend |cFFFFBA00[DEFEAT1DEPTH]|u floors and drive the corruption back. TRANSLATE>DIALOG:|cFFFFBA00[DEFEAT1]|u's struggle was once my own, but only I found the strength to break free of the Ordrak's corruption. Search |cFFFFBA00[DEFEAT1DEPTH]|u floors beneath the surface, and end the poor beast's suffering. TRANSLATE>DIALOG:|cFFFFBA00[DEFEAT1]|u is gathering strength, soon the fiend will emerge from his lair, rising |cFFFFBA00[DEFEAT1DEPTH]|u floors to the surface and ravaging this town. You can prevent this destruction if you wish, what path will you choose? TRANSLATE>DIALOG:You have freed |cFFFFBA00[DEFEAT1]|u from the blight. This world is safer, and I can continue to breathe the evening air.\n\nLet me reward your courage. TRANSLATE>DIALOG:I felt the blight recoil and retreat when you slew the dark champion |cFFFFBA00[DEFEAT1]|u. You have earned this reward. TRANSLATE>DIALOG:You slew |cFFFFBA00[DEFEAT1]|u with such eagerness, such lust for battle; be wary the blight does not find purchase within you. TRANSLATE>DIALOG:|cFFFFBA00[DEFEAT1]|u is defeated; you have dispersed a part of Ordak's spirit. Still, I sometimes feel this is a battle with no end.\n\nSpend this gold while you can. TRANSLATE>DIALOG:Sometimes I can still hear Ordrak's whisper. Perhaps one day you will have to face me in battle, and cut me down as you did |cFFFFBA00[DEFEAT1]|u.\n\nMay that day never come. TRANSLATE>DIALOG:The Ember here once shone so brightly, before Ordrak's spirit spidered through the veins. Perhaps it will shine again, if you continue to slay corrupted champions like |cFFFFBA00[DEFEAT1]|u. TRANSLATE>DIALOG:Perhaps |cFFFFBA00[DEFEAT1]|u will find peace, but that is not my purpose here. If I can keep the immortality Ordrak granted me, I wish to spend it in a world free of his torment. TRANSLATE>DIALOG:Valeria wants you to slay a corrupted champion known as |cFFFFBA00[DEFEAT1]|u on floor |cFFFFBA00[DEFEAT1DEPTH]|u. TRANSLATE>DIALOG:You look like an enterprising individual... Perhaps I can interest you in a small business opportunity.\n\nI have learned of a particularly nasty [DEFEAT1] specimen on floor [DEPTH]. Apparently, this particular [DEFEAT1] carries a [DEFEAT1ACQUIRE1]; an item which would assist me greatly in my work. I am willing to offer a generous reward if you can recover the [DEFEAT1ACQUIRE1] for me. TRANSLATE>DIALOG:Return to me when you have recovered the [DEFEAT1ACQUIRE1] from the [DEFEAT1] on floor [DEPTH]. TRANSLATE>DIALOG:Fantastic! The [DEFEAT1ACQUIRE1]! I trust you made quick work of that [DEFEAT1]. If you find this compensation acceptable, perhaps we can do business again in the future! TRANSLATE>DIALOG:If you're looking for a little extra coin in your pocket, have I got the job for you!\n\nI'm getting reports of a [DEFEAT1] overpopulation problem. I'm willing to pay good money if you can destroy [DEFEAT1COUNT] of them for me! TRANSLATE>DIALOG:Have you taken care of my [DEFEAT1] problem yet? Come back when you've defeated [DEFEAT1COUNT]. TRANSLATE>DIALOG:Thank you so much for taking care of our [DEFEAT1] problem! Please accept this reward for your efforts. TRANSLATE>DIALOG:This mountain has always been unstable, but these quakes are different. Something is assaulting the pillar of the mountain.\n\nIn truth, I am more worried about our way being blocked than the destruction of Torchlight. If we allow the corruption to fester, it will threaten more than this mining town. TRANSLATE>DIALOG:I thought you would come- how could you resist the call of Ordrak? Once this colossus has subdued you, your transformation will be complete! TRANSLATE>DIALOG:You have discoved the cause of the earthquakes, now it's time to silence them. TRANSLATE>DIALOG:This mountain has always been unstable, but these quakes are different. Something is assaulting the foundations of the mountain.\n\nIn truth, I am more worried about the way ahead than the fate of Torchlight. If we allow the corruption to fester, it will threaten more than this mining town. TRANSLATE>DIALOG:Torchlight and the the mountain below it are experiencing strange earthquakes. Syl has asked you to find the cause before the town collapses. TRANSLATE>DIALOG:The cycle is broken, Ordrak will not consume Torchlight as he did so many other civilizations. And yet, the corruption remains, perhaps some part of his spirit lingers even now.\n\nI will remain here a while to ensure the town is safe. I understand if you must continue your journey, but there are still unexplored chambers below. We will have to deal with the twisted creatures there eventually, and the treasures you find may prove useful. 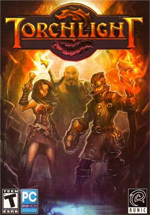 TRANSLATE>DIALOG:You have done so much for Torchlight, and for me. I cannot thank you enough my friend. TRANSLATE>DIALOG:Find the Overseer's Library, Syl believes it may contain information that can cure the Ember Blight that infects your body. TRANSLATE>DIALOG:Who dares interrupt our slumber? TRANSLATE>DIALOG:Why, sister Marishka, it's a warrior who wishes to join the master's domain. TRANSLATE>DIALOG:Yes sisters, the master will be so greatful for the gift! TRANSLATE>DIALOG:You've released the Overseer from his madness, now we can investigate his library. TRANSLATE>DIALOG:Ah, here are his notes...\n\nHe mentions searching for an Ember Forge in a Dwarven fortress much deeper in this mountain. He believed it would cleanse the corruption from his awakened ancestors.\n\nI will return here another time to learn more, but this Ember Forge sounds promising. Come, let's go further down, we may not have much time. TRANSLATE>DIALOG:Alric has been corrupted by the Ember and has taken Syl. TRANSLATE>DIALOG:You've made it to the Fortress! Are you feeling the effects of the Ember Blight? Don't worry, we're close to finding your cure.\n\nI hope you will continue to help me afterwards. Whatever is causing this corruption is too powerful for me to face on my own.\n\nClear a path to the Ember Forge, and I will meet you there. TRANSLATE>DIALOG:Were the dwarves destroyed by the same corruption we face 2009-11-02 (月) 02:45:46 It's hard to believe this threat is so ancient. The Necropolis and even the Estherian ruins are new in comparison.\n\nFind the Ember Forge, and I will meet you there. It is dangerous for me to be exposed to the blight, but I will risk it for your sake. TRANSLATE>DIALOG:Search the Dwarven Fortress for the Ember Forge that can cleanse your corruption. TRANSLATE>DIALOG:We've found it! I believe I can operate the Forge, books in the Overseers library described it in detail. I should even be able to remove the corruption without diminishing the strength the Ember has granted you.\n\nTake your place on the platform. TRANSLATE>DIALOG:<LOOKAT=SEER>Syl, have you come to join us? I knew you would hear Ordrak's call eventually. TRANSLATE>DIALOG:<LOOKAT=ALRIC>Master Alric! You would never serve such a destructive power, it's the corrupted Ember affecting your mind. If Ordrak is the source of this plague, then it is our duty to destroy him! TRANSLATE>DIALOG:<LOOKAT=SEER>I taught you about duty Syl, but it is time for a new lesson. With Ordrak's power we can reshape the world!\n\nCome, and meet your new master. TRANSLATE>DIALOG:Alric has captured Syl. Descend further and rescue her. TRANSLATE>DIALOG:How dare you trespass here! I will destroy you for your insolence! TRANSLATE>DIALOG:Help or stay out of the way! TRANSLATE>DIALOG:You there! We need every able warrior to help us defend the town - follow me! TRANSLATE>DIALOG:Ember is essential to my work, but these monsters are making it impossible to mine!\n\nI am Goren the Enchanter. For a price, I can imbue your weapons and armor with the magic of Ember. Be warned, Ember is powerful and even I cannot predict it's effect. TRANSLATE>DIALOG:I cannot concentrate with these monsters about! If you have items to combine you will have to come back another time. TRANSLATE>DIALOG:If that seer hadn't arrived to fight these monsters, I would already have packed up my gems and left town. Please, help her if you can! TRANSLATE>DIALOG:<LOOKAT=SEER>You alright Syl? Rest here awhile, I'm going ahead to finish the job. TRANSLATE>DIALOG:It's no wonder Master Alric sent for my help, the Ember mines are overrun with these creatures. His letter was urgent, but I had no idea how dire things had become.\n\nI am Syl, and that was my companion, Brink. We've only just arrived in Torchlight, and it looks like we're going to need some help. You look capable, and I can pay you well. Please, catch up to Brink before he gets himself killed. TRANSLATE>DIALOG:Were you drawn here by the lure of Ember? Perhaps my master was as well.\n\nMaster Alric called me here, but there is no sign of him in town. These creatures ambushed us as we were about to enter the mines. They may have ambushed Alric as well, but I doubt it- he would not be overcome so easily.\n\nI need time to question the townsfolk and recover from battle. Brink has been with me for a long time now- please, watch over him for me. TRANSLATE>DIALOG:Syl will pay you to find and protect her companion Brink. You should be able to find him in the Ember mine. TRANSLATE>DIALOG:Did Syl send you after me? She must have thought I was in over my head again. Well she's right, these monsters are getting stronger and I could use your help.\n\nI'm going after the fiend that was attacking Syl on the bridge, will you join me? TRANSLATE>DIALOG:Now I have you! What have you done with Alric? TRANSLATE>DIALOG:I am here, Brink.\n\nI sent for Syl - but I don't recall inviting you, or your friend. You may still prove useful, however...\n\nBe still! TRANSLATE>DIALOG:You say this is Alric's doing? Then his summons was a trap - but why?\n\nThe corruption here must have overwhelmed his mind, I can't believe it's so powerful.\n\nYes, yes... I see it's touched you as well. Blight is spreading through you, and if we don't find a way to stop it you'll meet the same fate as Brink. I'm sorry I brought you into this, I'll do my best to cure you. Meet me in Torchlight, and I'll tell you my plan. TRANSLATE>DIALOG:I'm a bit overwhelmed friend. Brink is dead, my master is lost, and I feel responsible for your corruption as well. Somehow the blighted Ember is fusing with your flesh, changing it - but at least the progress is slow.\n\nI have some knowledge of the crypts below the mine. The Overseer experimented with methods of purifying Ember, we may be able to use his knowledge to purge the corruption from you now.\n\nFind the Overseers Library, his notes should be there. TRANSLATE>DIALOG:I had heard of corruption in Torchlight's Ember, but I did not think it was so dangerous. The Overseer dwelt amongst it for decades before it rotted his sanity away, why have you and Master Alric been affected so quickly?\n\nWhat matters now is finding a cure. Search the crypts below the mines for the Overseer's Library. You may find the Overseer himself still guards it, you will need to find the strength to overcome him.\n\nBeware of Alric, he is incredibly powerful. TRANSLATE>DIALOG:The tremors are subsiding; my faith in you was well placed. Have you encountered Master Alric again? I will have to deal with him eventually - I cannot allow him to become a servant of darkness.\n\nWe are approaching the Ember Forge, but one final obstacle remains. The Overseer's notes mention an ancient fortress infested with goblins, the hordes prevented him from ever reaching the Dwarven fortress itself. Defeat the goblins and we'll be close to our goal. TRANSLATE>DIALOG:The evil below Torchlight threatens more than just a mining town. This mountain is a brooding pool laced with Ember. Unless we destroy the corruption, it will boil out like a plague.\n\nFinding the Ember Forge and purifying you is just the beginning of our task here. TRANSLATE>DIALOG:You must pass through the lava prison to get to the Ember Forge. Defeat the goblins and gain access to the Dwarven fortress. TRANSLATE>DIALOG:Why do you struggle against Ordrak's will?\n\nNo matter. The Overseer could not pass this realm, and you will fare no better against the goblin hordes. TRANSLATE>DIALOG:I can't believe Master Alric has been consumed so completely. Ordrak is the cause, he has nested in the Ember for time beyond telling. The twisted creatures in this mountain are a reflection of his heart; his dark spirit runs through their veins.\n\nMaster Alric is crafting Dark Ember, he brought me here to assist him. I would have done so eventually, I can already hear Ordrak's voice calling to me.\n\nYou must destroy them, Alric and Ordrak both. The Dark Ember is abomination we cannot allow. TRANSLATE>DIALOG:Pursue |cFFFFBA00Alric|u deeper into the palace. TRANSLATE>DIALOG:Master Alric taught me to serve others, to protect the weak, to strike evil down. But now... \n\nThe will of Ordrak has overwhelmed him, it has altered him completely. Please, put him to rest. TRANSLATE>DIALOG:You have slowed our plans, visitor, but Ordrak's time is endless. All we require now is a willing sacrifice. Once you are dealt with, I will retrieve Syl and complete the Dark Ember.\n\nKneel or perish! TRANSLATE>DIALOG:Confront Alric and preventthe Ember blight from consuming Torchlight. TRANSLATE>DIALOG:No! I will not be defeated here! TRANSLATE>DIALOG:Master Alric taught me to serve others, to protect the weak, to strike evil down. But now... The will of Ordrak has overwhelmed him, it has altered him completely.\n\nPlease, put him to rest. TRANSLATE>DIALOG:Ordrak has risen from Alric's sacrifice. TRANSLATE>DIALOG:Ordrak, Ordrak, receive my sacrifice. TRANSLATE>DIALOG:Thank you for putting Master Alric to rest, I'll remember him as he was before Ordrak consumed his mind.\n\nI have already asked too much of you, but you must face Ordrak. This cycle of destruction will never end while he is alive. TRANSLATE>DIALOG:You need to find the Ember Forge. Follow Syl down the stairs. TRANSLATE>DIALOG:These ruins, I've read of them! This is Estheria, their discoveries are the foundation of my art. I wish Brink could see this. TRANSLATE>DIALOG:The Ember Forge lies far below, finding it will be a difficult task. I would travel with you, but my study of Ember makes me vulnerable to the corruption. Here, my strength is a weakness.\n\nI will activate the waygate to Torchlight once it is safe to do so. TRANSLATE>DIALOG:Syl has opened the portal for you to continue to look for the Ember Forge that should be able to cure you of the corruption that you received when attempting to save Brink. TRANSLATE>DIALOG:I have reactivated these three rune gates, but it is the fourth that leads deeper. Some threat must have caused the Estherians to disable it, the destination glyphs are missing.\n\nWe'll need to find those missing glyphs to continue, search the active gates while I study this chamber. Hurry, there are many obstacles between us and the Ember Forge below. TRANSLATE>DIALOG:You recovered the glyphs so quickly! Your power is growing, my friend.\n\nI will open the last rune gate, but please, be cautious. The blighted Ember creates abominations, there is no telling what monstrosities lay on the other side.\n\nI can't bear to stay in these corrupted tunnels much longer, find me in Torchlight when you have finished. TRANSLATE>DIALOG:It is no wonder the Estherians' knowledge advanced so quickly, they were perched atop an endless supply of Ember!\n\nWe will need all three of the missing destination glyphs. The Estherians must have hidden them in the ruins to seal off the corruption below. I expect one is hidden through each of the active rune gates.\n\nWe must not waste time. So far Ember Blight has only made you stronger, but eventually it will control you. TRANSLATE>DIALOG:Retrieve the three destination glyphs, one from each rune gate. With the glyphs, Syl will be able to open the final rune gate. TRANSLATE>DIALOG:These monster attacks are disrupting my work!\n\nI am Vasman, a scholar of Ember. I traveled to Torchlight to study the vast supply of Ember below, but these creatures make it impossible to obtain the samples I need.\n\nPerhaps you have more courage than these miners. If you brave the tunnels and bring me a sample of |cFFFFBA00Gleaming Ember|u, I will reward you well. It should not be difficult, look for the Ember on the |cFFFFBA00first floor|u of the mine. TRANSLATE>DIALOG:Please find me a piece of |cFFFFBA00Gleaming Ember|u on the |cFFFFBA00first floor|u of the mines. I know tunnels will be littered with lower quality crystals, but I've already learned as much as I can from studying those. TRANSLATE>DIALOG:Aha, I see you've found the |cFFFFBA00Gleaming Ember|u! I hope it wasn't too much trouble. Here is your reward.\n\nThis is a fine, clear piece, but still there is something odd about it. All of the Ember from Torchlight seems to have a special quality... Well, I'll soon understand it better. TRANSLATE>DIALOG:Vasman has asked you to find a piece of |cFFFFBA00Gleaming Ember|u in the mines. TRANSLATE>DIALOG:Ember is the essence of magic, and it assumes aspects of its environment. That is why Ember from different locations can appear and behave completely differently.\n\nI've heard of a vast |cFFFFBA00necropolis|u buried below the mines. |cFFFFBA00Deathlace Ember|u can sometimes be found in such places. Studying such a rare type of Ember is a long held dream of mine. You'll bring me any you find won't you? TRANSLATE>DIALOG:Obtaining a piece of |cFFFFBA00Deathlace Ember|u would make me the envy of my peers. Oh, how I'll rub their smug noses in it. I'll pay you well of course, just look for it in the |cFFFFBA00necropolis|u below. TRANSLATE>DIALOG:You've found it! This is just grand!\n\nThere's something odd about it though... something a bit dark. Perhaps it's just the nature of |cFFFFBA00Deathlace Ember|u, but I can feel a thread of living spirit within this piece.\n\nThank you for finding it, here is your reward as promised. TRANSLATE>DIALOG:Vasman has asked you to find a piece of |cFFFFBA00Deathlace Ember|u in the |cFFFFBA00necropolis|u. TRANSLATE>DIALOG:Have you ever seen an Ember vein running through water? I've read that it can result in Shimmering Ember, but I've never actually seen such a thing. You'll keep an eye out for it won't you? I'll continue my research in your absense. TRANSLATE>DIALOG:You've been a great help to me, don't think I don't appreciate it. Ha, maybe someday I'll return the favor and find a scroll for you in a library you dare not enter!\n\nYou're still on the lookout for Shimmering Ember aren't you? It can only be found in a region submerged in water. TRANSLATE>DIALOG:You have a real knack for this don't you? Thank you for finding this Shimmering Ember. It's beautiful, but marred by the same blight that effects the other pieces.\n\nThe results of my research so far are troubling. The impurities I noticed in the Deathlace Ember are also present in the Ember from the mine, they're easier to see now that I've seen a more striking example. TRANSLATE>DIALOG:Vasman has asked you to find a piece of Shimmering Ember in an area filled with water. TRANSLATE>DIALOG:There are places in this world undisturbed by the passage of time. It is said the elements exist there in their most primal form. Logically, the Ember there would be imbued with the same energy.\n\nIf you find a cavern lost to time, search for a shard of Primal Ember. I'll gladly pay you for retrieving such a rare specimen. TRANSLATE>DIALOG:The impurities in the Ember you've found are fascinating. This could be the basis for a lifetime of research, isn't that grand!\n\nFind me a shard of Primal Ember, and I'll make us both famous. Well, famous in academic circles. TRANSLATE>DIALOG:Primal Ember? Incredible!\n\nThe Ember blight is growing stronger as we obtain samples from deeper in the mountain. I would say that something in the depths is influencing the entire Ember vein, but of course that's absurd. Nothing is powerful enough to do that, perhaps it's just the spirits of the lost clinging to the veins. TRANSLATE>DIALOG:Vasman has asked you to find a piece of Primal Ember in a place filled with elemental energy. TRANSLATE>DIALOG:When the pieces you brought me are near one another, the blight appears to be amplified. I will keep them well seperated from now on, but still I need more samples for study.\n\nSavage Ember has sometimes been found in the caldera of volcanoes, if you delve deep enough you may find the molten rock required for its creation. Please, bring me any samples you come across. TRANSLATE>DIALOG:The Savage Ember is sometimes found near molten rock, look for it there. I will of course reward you for any samples you find.\n\nI'm troubled by the results of my research so far. It seems that all of the Ember Veins are being influenced by a single source, something far below the mountain. I will require deeper samples to learn more about the nature of the impurities, but there is something menacing about what I've found so far. TRANSLATE>DIALOG:This is it, the Savage Ember! I've awaited it with an eagerness that troubles me.\n\nThe blight is like a living thing, or part of one. Sometimes, when I'm deep in study, I can almost hear it whispering. I now believe it is all part of one great spirit, but what has such strength of will? TRANSLATE>DIALOG:Vasman has asked you to find a piece of Savage Ember in a place filled with molten rock. TRANSLATE>DIALOG:I've heard Syl tossing around the term "corruption" when discussing the Ember impurities. I thought she was rash to say that without proper research, but now I believe her instinct was correct, the spirit in the Ember veins may be the force that mutates and drives the monsters below.\n\nI need more evidence to be sure. The dwarves created an incredibly strong variety known as Adamant Ember. Find me a sample and we'll learn the depth of this corruption. TRANSLATE>DIALOG:The dwarves did wondrous things with Ember, I'd like to see a sample of Adamant Ember just to admire their craft.\n\nEmber has so many grand uses. It's the key ingredient in those healing potions of which you seem so fond, and of course you know how it strengthens your armor. If this vein is corrupted beyond recovery, it will be a terrible loss to us all. TRANSLATE>DIALOG:Adamant Ember, it's beautiful! This was the strength of the dwarves.\n\nI can see the corruption in it even without close examination, it's a terrible thing. Even if the source was destroyed, the blight may still remain. I don't know the nature of the being which is forcing it's spirit into the Ember veins, but I think they have merged inseparably. TRANSLATE>DIALOG:Vasman has asked you to find a piece of Adamant Ember in the Dwarven Ruins. TRANSLATE>DIALOG:The deepest Ember will show the most signs of corruption. It will contain the blight in its purest form. It will be a terrible thing to behold, but my research would be incomplete without an example of Sanguine Ember.\n\nI cannot blame you if you don't wish to search for it; I'm certainly not fool enough to tread so close to the source. Still, if you stumble upon such a foul thing, why not be rewarded for your efforts? TRANSLATE>DIALOG:A force powerful enough to corrupt a mountain of Ember? Now this is research worth dying for!\n\nFind me a sample of Sanguine Ember, and there won't be an Ember Researcher in the world who doesn't know your tale. Or at least, my version of it. TRANSLATE>DIALOG:Aha, the collection is complete! This is a ghastly piece; the blight has consumed it completely. I cannot wait to examine it, I can already hear it calling to me...\n\nYou know, for research purposes one can never have enough samples. They're also quite valuable if one can find the right collector. I'll be able to fund my research for years, and of course you'll have your share of the profit. Most importantly, I'll have a chance to examine each sample, and learn secrets of the deep. TRANSLATE>DIALOG:Vasman has asked you to find a piece of Sanguin Ember from near the source of corruption. TRANSLATE>DIALOG:I'm afraid my experiments have destroyed the sample of |cFFFFBA00[ACQUIRE1]|u. If you could retrieve another from floor |cFFFFBA00[ACQUIRE1DEPTH]|u of the |cFFFFBA00Shadow Vault|u, I will pay you for your trouble. TRANSLATE>DIALOG:Have you found the |cFFFFBA00[ACQUIRE1]|u yet? It should be on floor |cFFFFBA00[ACQUIRE1DEPTH]|u of the |cFFFFBA00Shadow Vault|u. I'm counting on you, partner! TRANSLATE>DIALOG:This |cFFFFBA00[ACQUIRE1]|u will be a fine replacement! I'll try not to destroy it as quickly as the last sample. Here's your fee, partner. TRANSLATE>DIALOG:Vasman has asked you to find a piece of |cFFFFBA00[ACQUIRE1]|u on floor |cFFFFBA00[ACQUIRE1DEPTH]|u of the |cFFFFBA00Shadow Vault|u. TRANSLATE>DIALOG:My research requires another piece of |cFFFFBA00[ACQUIRE1]|u. I believe you could find it on floor |cFFFFBA00[ACQUIRE1DEPTH]|u of the |cFFFFBA00Shadow Vault|u. I would go myself, but... Well, you've seen the monsters! TRANSLATE>DIALOG:Ah, you've found the |cFFFFBA00[ACQUIRE1]|u, you've found it! There are more impurities here than I expected. I wonder, is it just chance or is this more evidence of corruption? TRANSLATE>DIALOG:An.. acquaintance been inquiring about |cFFFFBA00[ACQUIRE1]|u. I'm not certain what use he has in mind for it, but I do know we can make quite a profit on the sale. Look on floor |cFFFFBA00[ACQUIRE1DEPTH]|u of the |cFFFFBA00Shadow Vault|u, and I will take care of the rest. TRANSLATE>DIALOG:I believe this |cFFFFBA00[ACQUIRE1]|u will satisfy our buyer! You've done well, here is your share of the profit. TRANSLATE>DIALOG:I've recently heard from a colleague who very much wants a sample of |cFFFFBA00[ACQUIRE1]|u. Find one on floor |cFFFFBA00[ACQUIRE1DEPTH]|u of the |cFFFFBA00Shadow Vault|u, and I will start negotiating a fitting price. TRANSLATE>DIALOG:There's the |cFFFFBA00[ACQUIRE1]|u I've been waiting for! Our buyer has offered a fine price, here's your share! TRANSLATE>DIALOG:I know a collector who would pay handsomely for a piece of |cFFFFBA00[ACQUIRE1]|u. Floor |cFFFFBA00[ACQUIRE1DEPTH]|u of the |cFFFFBA00Shadow Vault|u is your best bet, return with the Ember and I'll give you your share of the profit. TRANSLATE>DIALOG:The |cFFFFBA00[ACQUIRE1]|u, you've found it! This is a fine specimen, our collector will be pleased- and we'll be pleased to take his gold! Here's your share. TRANSLATE>DIALOG:With the mine full of monsters, this load of Ember may be the last we ever haul out of there. If the Ember stops flowing, Torchlight can't survive for long. Maybe it's time for me to move on. TRANSLATE>DIALOG:I've built a home here, and I'm not going to let those monsters drive me away. There's still good Ember in those tunnels! TRANSLATE>DIALOG:I'll do my part to keep monsters off the streets, but there's no way I'm going back into that mine. Wherever these creatures came from, we'll need an army to clear them out. TRANSLATE>DIALOG:I hope I can get back into the tunnels soon, I'm not used to all this fresh air. TRANSLATE>DIALOG:Once you get a little deeper down, you start running into fashioned stone, bits of old statues - something's buried deep here, mark me. TRANSLATE>DIALOG:These tunnels are rich with veins of Ember - you can see it gleaming everywhere. I'll make a fortune! TRANSLATE>DIALOG:In my off time, I do a spot of cave-fishing down here. You'd be surprised at the variety of fish in these underground pools! TRANSLATE>DIALOG:If you're looking for sellswords, I saw a group of them pass by a few hours ago - hardened looking men. TRANSLATE>DIALOG:There's beasties in the walls! I can hear 'em scrabblin' around in there. TRANSLATE>DIALOG:Watch out for any open shafts - critters have been lurking down them, and leaping out at unsuspecting miners. Gives me the shivers! TRANSLATE>DIALOG:It's the strangest thing - the Ratlins raid our supplies, but they never bother looking in the barrels. I stuff my extra kit in them and it stays safe and sound. TRANSLATE>DIALOG:The council has ordered the necropolis sealed. I could purge the corruption from the awakened with a little more time, but they will not listen! They call the Ember's effect a curse and feign concern for the peaceful rest of our ancestors, but fear alone guides them!\n\nIf the council refuses to accept the blessing of eternal life, we will keep the Ember for ourselves. Woe to any who disturb our sanctuary. TRANSLATE>DIALOG:The door is magically sealed. TRANSLATE>DIALOG:Completion of the Dark Ember requires a powerful and willing sacrifice. Among the servants here, only I am powerful enough to complete the ritual, but Ordrak will need my abilities to direct the Dark Ember's power.\n\nSyl is coming closer, she has grown stronger than I realized. Strong enough to be useful, and she will be as receptive to Ordrak's will as I am. Still, it will take time for her to understand. My power wanes when I travel far from the core, I must draw her deep and find her alone. TRANSLATE>DIALOG:It isn't worth the risk, why won't my husband see that? \n\nThere are other Ember mines in the world, we should take Albert and find work at one of them. They may not be nearly as rich, but at least they're not full of monsters! TRANSLATE>DIALOG:My sister, Moire, wants to leave Torchlight because of the monsters. Doesn't she remember what we had to go through to get here?\n\nWe came all this way to meet rich Ember miners, and now that we have I'm not going to leave just because of a few rock trolls. TRANSLATE>DIALOG:I'm faster than any monster! TRANSLATE>DIALOG:My dad is protecting the town! TRANSLATE>DIALOG:Are you here to protect us? TRANSLATE>DIALOG:Can I have your armor when you're done with it? TRANSLATE>DIALOG:Someday I'll be a hero like you! TRANSLATE>DIALOG:Alma is too slow to play with me! TRANSLATE>DIALOG:The horse fixes you with a withering gaze. TRANSLATE>DIALOG:This horse seems important somehow. TRANSLATE>DIALOG:Gazing into the horse's eyes, you feel on the verge of understanding a deep mystery. TRANSLATE>DIALOG:The horse snorts at you. You feel dejected. TRANSLATE>DIALOG:The horse winks at you. You feel blessed. TRANSLATE>DIALOG:You can tell that the horse does not want to be disturbed. TRANSLATE>DIALOG:The horse ignores you, perhaps if you offered it some food? TRANSLATE>DIALOG:The horse gazes at you serenely. You feel lucky. TRANSLATE>DIALOG:Peering deep into the horse's eyes, you feel you are not yet ready for its wisdom. TRANSLATE>DIALOG:You feel the horse approves of your presence here. TRANSLATE>DIALOG:The horse's immense strength inspires you. TRANSLATE>DIALOG:The horse gazes upon you calmly, reminding you that patience is a virtue. TRANSLATE>DIALOG:As you meet the horse's large brown eyes, a chill runs down your spine. TRANSLATE>DIALOG:You ponder the horse's speed, and are inspired to quicken your own step. TRANSLATE>DIALOG:You wonder if this horse has a name. TRANSLATE>DIALOG:The horse flicks its ears twice. You wonder what it means. TRANSLATE>DIALOG:The horse's calm in the face of danger steels your will. TRANSLATE>DIALOG:The horse appears surprisingly intelligent. You have difficulty meeting its gaze. TRANSLATE>DIALOG:You don't think the horse is going to talk to you. TRANSLATE>DIALOG:This is the second most interesting horse you've ever seen. TRANSLATE>DIALOG:You are transfixed by the horse's gaze. Your pack feels lighter. TRANSLATE>DIALOG:I don't want monsters here, they should go away! TRANSLATE>DIALOG:Have you seen any monsters? TRANSLATE>DIALOG:I'm Alma. Pleased to meet you! TRANSLATE>DIALOG:Sometimes the horse scares me. Powered by PukiWiki. Thanks PukiWiki Developers Team. HTML convert time: 0.362 sec.